It's no secret that your internet privacy is under threat these days. If it isn't the NSA, then it's Google, and well, it's impossible to hide from the government and/or the internet. 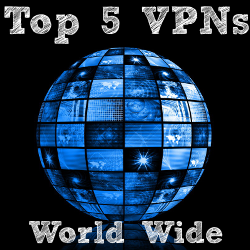 VPNs are becoming more popular these days because they doubly protect you. One, they encrypt your data so that it's inaccessible to cyber criminals. Two, they make your personal data private from government bodies and internet services like websites and search engines. But the #1 reason you won't use a VPN is because you are lazy. As I outlined in my article about working at Starbucks (link) and my frequent trips to the airport (link), though I have access to several VPN accounts, I only use my VPN sparingly. It's 2 clicks and 3 seconds away, and I want to access my accounts NOW. The reason that a VPN web browser might be best for you is because you are just like me. Lazy. Having a VPN browser extension/addon is pretty amazing. Once installed, the VPN automatically loads each time you access the web with your browser. And with the VPN running in the background, you can be sure that your private information is neither being tracked nor hacked. There are a few choices. If you are running Firefox, Ghostery is going to be your best choice for Addon. It's free. If you are running Chrome, you have a few choices. I've heard really good things about Hola. I know that at one point it was possible to watch Hulu and Netflix with this extension, but I don't know if that's still possible. It may have gone the way of Hotspot Shield. In my research I also discovered that Zenmate is actually more popular than Hola. It says right on their app that you can access Netflix, YouTube, and other popular sites, so this is worth a try. I prefer something with support, and faster speeds. That's why I use VPN.tv. 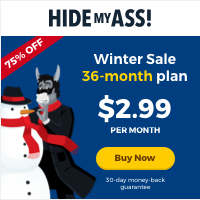 This one is $29 for 1 year of service, so it works out to $.08 per day to use their Chrome extension. Thank you, I'll take faster speeds and email support for less than a dime a day. A paid service like VPN.tv will always have better features and outperform any free extensions. Also, t's run by a real VPN service called 12VPN, that actually has the resources to protect your privacy. These guys have been around for at least a couple years and operate in China, one of the most heavily monitored and censored areas of the world. If privacy and security on the internet is important to you, there's no reason not to encrypt your data while you surf. 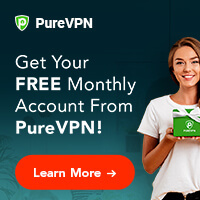 If you are too lazy to use a regular VPN, a VPN for your internet browser that automatically loads is going to be your best bet.